Besat class submarine previously known as Qaaem, Qaem, or Ghaaem is an Iranian designed class of submarines currently under construction. On 25 August 2008, Iranian defence minister Mostafa Mohammad-Najjar announced Iran had started building the first ship of the class: Qaaem. The submarine will be capable of carrying and firing various types of torpedoes and undersea missiles. According to the Iranian Navy these submarines will weigh 1,200 tons. Rear Admiral Habibollah Sayyari said that they would be equipped with torpedoes and naval mines. He also said: "the smart long-range Qaa'em submarine is also capable of carrying out both defensive and offensive operations". 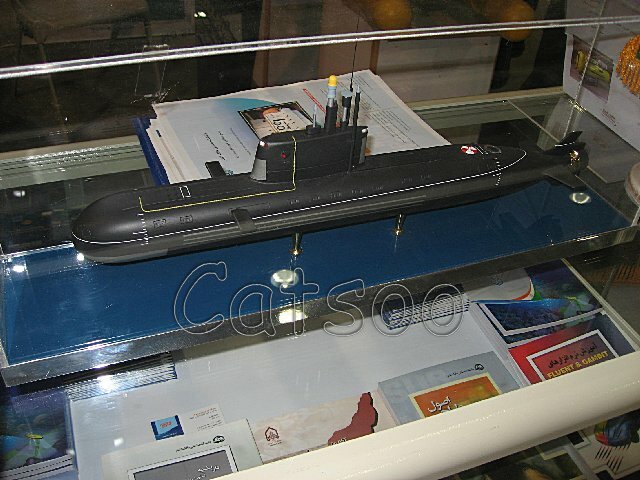 According to Global Security, a total of two of these Submarines will be built and completed by 2015. ↑ Press TV Semi-heavy submarines to protect Iran waters Archived September 7, 2008, at the Wayback Machine.